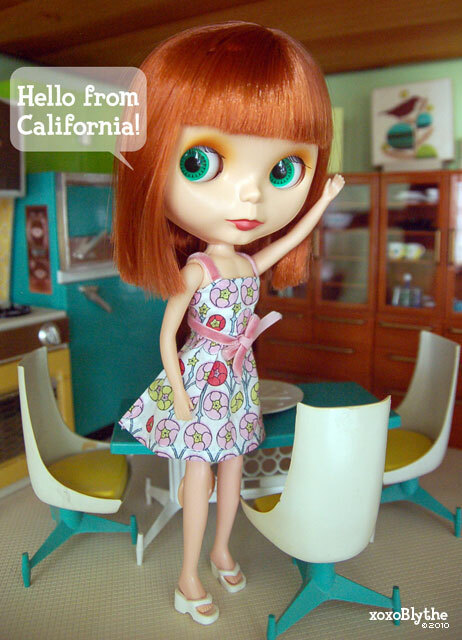 One of my dream dollies has joined the xoxoBlythe family! 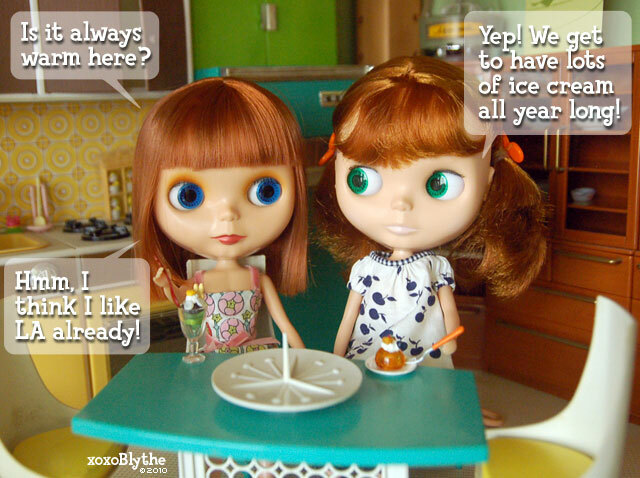 Ever since I got bit by the Blythe bug in 2003, I've always wanted an EBL Picca, but somehow the stars never aligned until now. Say "hi" to Kensie, a very special EBL Piccadilly Dolly. She moved here from New York and we can't wait to show her around! Of course, Emma, the head of the welcoming committee, was right there to say hello before everyone else. Our resident orange tabby cat, Marmie, wanted to say hello too. They hung out in the loft living room and got to chat a little while Kensie settled in. Then they both enjoyed some delicious sweets perfect for a hot summer day! We are so happy to have Kensie join us and we hope she will love California just as much as we do.